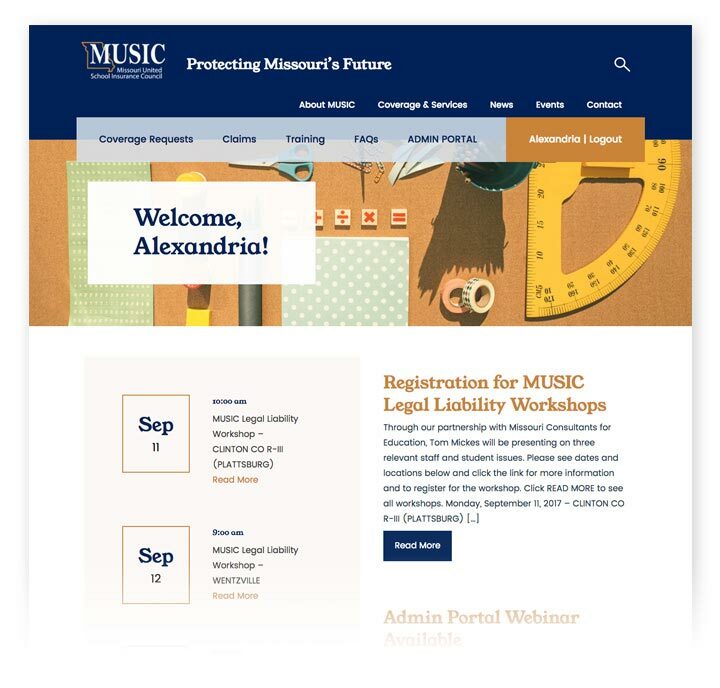 The Missouri United School Insurance Council (MUSIC) is a non-profit, self-insurance pooling program that provides coverage to a majority of Missouri’s public schools, along with community colleges. The old MUSIC site featured disparate systems, where members needed to log in multiple times, on multiple different sites, to view their insurance information. Sifting through text-heavy pages and navigating confusing menus, many MUSIC members would call with questions about where to find the necessary information. Paradigm was tasked with elevating MUSIC’s brand image with a new website that streamlines common processes for its members and provides a more positive experience. 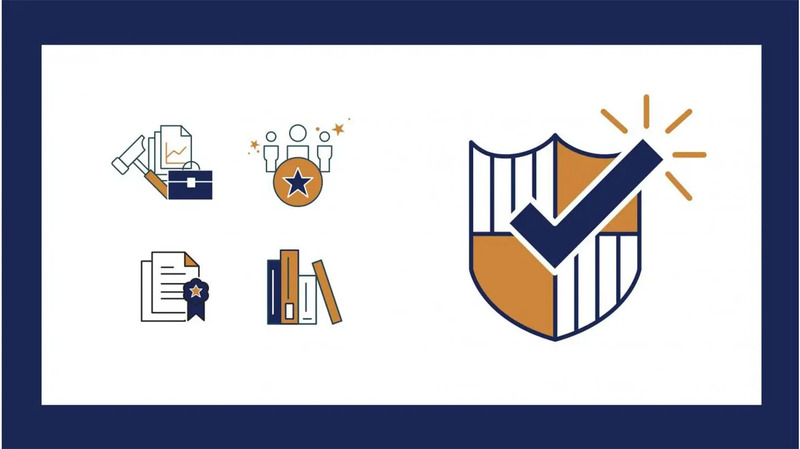 To eliminate the need for duplicate login screens and create a seamless user experience for three user types (public users, MUSIC members, and school administrators), we turned the Content Management System (CMS) into the identity provider for single sign-on. By managing the user list within the CMS, a single login form allows MUSIC members and administrators to explore the pages granted to their unique access level. To provide a more considerate navigation for site users, we reviewed the previous site’s architecture. 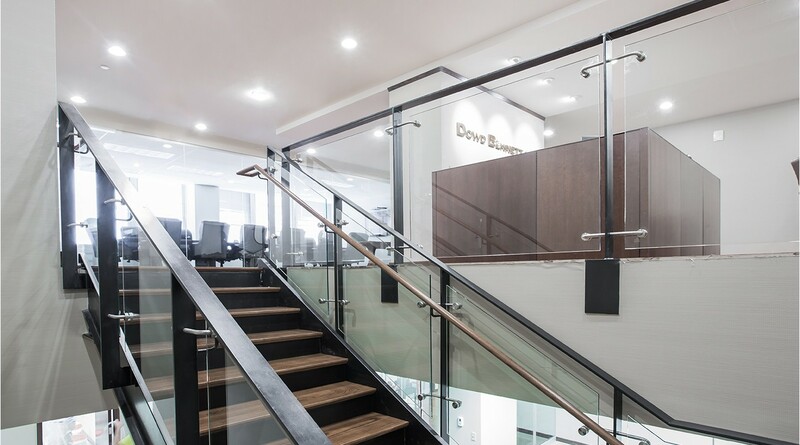 Although the majority of the content remained the same, organizing the pages in an intuitive and user-friendly menu and sub-navigation system helps users find forms and information on the site, without calling to ask the MUSIC staff. Gone are the days of printing standard forms and faxing them back. We implemented new web forms that respond to a user’s answers in real time, resulting in quicker, more consistent response times for MUSIC’s staff. For years, MUSIC emails were sent in plain text via a system that wouldn’t even allow basic copy and paste. We updated the organization with a branded email marketing system that’s easy to use and can be customized based on the content. Although the organization does not actively market itself to new members, we recognized the need for MUSIC to elevate its standing in the overall market. 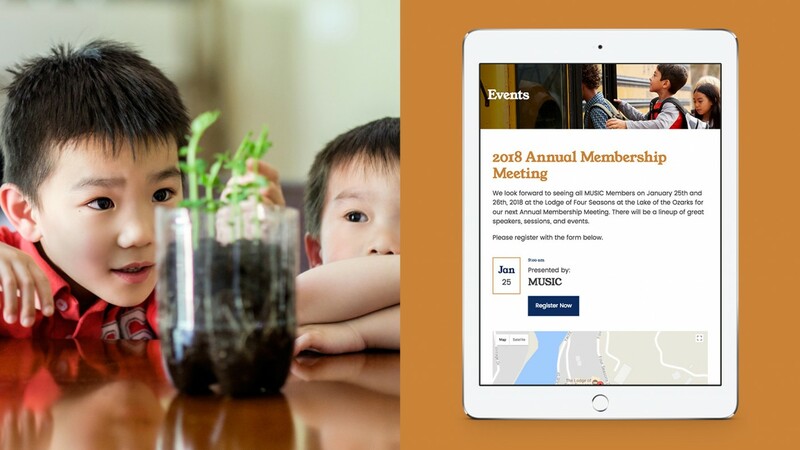 We responded with a new brand tagline, “Protecting Missouri’s Future,” a strong, inviting phrase referencing the organization’s insurance offerings as well as its ongoing commitment to Missouri’s youth. 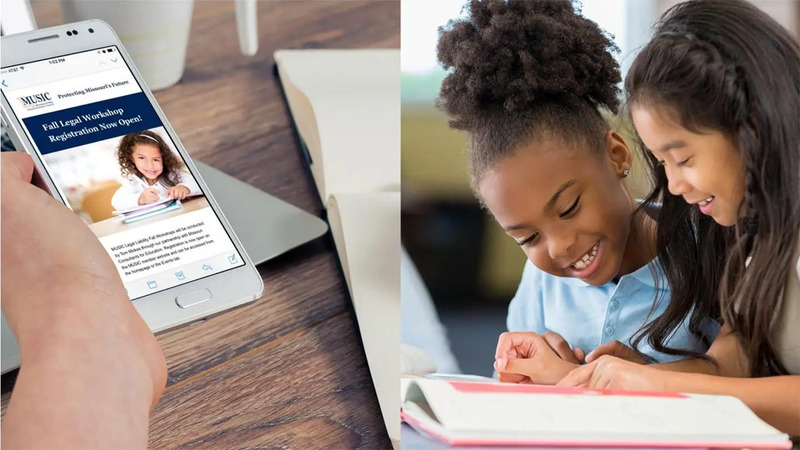 We added bold imagery featuring children in situations that could be considered insurance risks, such as getting on a bus or performing a science experiment. These carefree images show that with the safety of MUSIC coverage, students are allowed to be children. In addition, we created a custom icon set to help MUSIC members and the general public navigate through the site and visually understand the complex nature of the insurance industry. 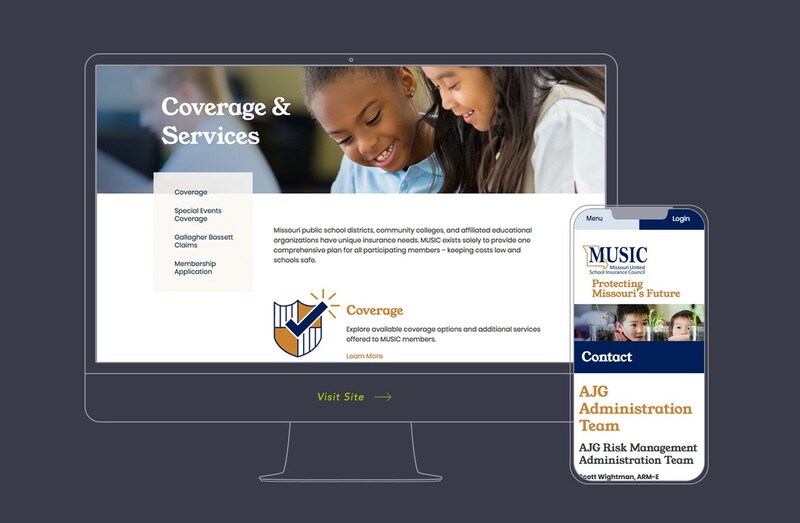 A responsive site combined with SSO integration allows MUSIC members to easily find the information they’re looking for, while MUSIC staff enjoys a seamless CMS that they can update at any time.